A drive around the local area that encompasses the cities of Redlands, Highland and San Bernardino; a problematic situation can be observed. On Alabama Street, the road that links Highland and Redlands together; people have begun to inhabit the chaparral-like land of the Santa Ana riverbed. Camps are established on vacant lots and public parks like Seccombe Lake Park and Meadowbrook Park near downtown San Bernardino. A community of lean-to shelters have blocked sidewalks near the intersection of 9th street and Waterman Avenue. In Redlands, there is a now abandoned Marie Calendar’s, where people with nowhere to go take refuge. At freeway offramps there are beggars holding signs asking for spare change. Before beggars often being handicapped, laid-off employees or military veterans. The Inland Empire is suffering a homeless crisis and it is not just a local problem. Many cities throughout the United States are reporting similar situations. These are people who have at some point in experienced hardships that they were unable to recuperate from and have resorted to living in squalid conditions. No person should have to live such an impoverish lifestyle, especially in a country that considers itself as the “best country in the world” and “the land of opportunity”. The people that are most susceptible to experience homelessness are veterans, victims of domestic violence, aged out foster youth, and those with early childhood trauma. Some shocking statistics include, “Veterans make up 33 percent of the chronic homeless population…92 percent of homeless women have experienced physical or sexual assault at some point of their life. 36 percent of those experiencing homelessness…are families and it is estimated that over 50,000 children spend six months of more on the streets each year” (Baker). Regarding foster care, a study was conducted in Oklahoma regarding children in foster care and the relation to homelessness. The study indicated, “research consistently has shown that youth who age out of foster care do not receive the same type of support and assistance as many of their peers, and therefore may be at higher risk of experiencing homelessness” (Crawford et al.). The study also found, “between 31% and 46% of youth who aged out of foster care experienced at least one episode of homelessness by the age of 26…further, they found that running away, placement instability, being male, a history of physical abuse, engaging in delinquent behaviors, and having symptoms of a mental health disorder were all associated with greater risk of experiencing homelessness” (Crawford et al). These examples demonstrate how diverse and complex the homelessness crisis is and how anyone is susceptible to becoming destitute. Currently there is no solution that can completely eradicate homelessness, but there have been attempts to tackle to problem. services paperwork or getting mental health care.” (Segal). Unfortunately, not everyone will complete agree with these ideas. Not everyone would be willing to set up an accessory dwelling unit and allow a stranger to live on their property while cities tend to hide the problem rather than to solve it. “Cities across the country have passed laws meant to crack down not on homelessness but on its visibility. ‘Cities are under a lot of pressure to do something about homelessness and visible poverty in their midst, and they have responded through a misguided attempt to simply outlaw the presence of visibly poor people,’ says Maria Foscarinis, executive director of the National Law Center on Homelessness and Poverty.” (Nathanson). To resolve the homeless crisis, it will take a collective effort from everyone and cooperation between cities, states, and federal government. The proposal will not completely solve homelessness. Its main intent is to assist those that are already suffering from homelessness by providing them with temporary place to stay at the same providing them with guidance and resources to put their lives back on track. The following steps that should be taken next should be measures to prevent homelessness. This article elaborates on the homeless situation occurring in the city of Santa Monica, California. This article gives reason to why the city has a homeless problem and gave a solution that might resolve the problem. I might incorporate this article into essay because it provides a cause to homelessness and provides a possible solution. This article come from Crafton’s library database to it is fairly reliable. The article discusses legal restrictions on homeless people in Denver, Colorado, citing measures taken by cities across the U.S. to reduce homelessness. It states that Denver ranks in the nation’s top ten major cities in its numbers of homeless families with children, and mentions that in 2012 Denver passed a law trying to address the city’s increasing visible homeless population. I could incorporate his article into my essay with the information and statistics regarding homelessness and critic the effectiveness of measurements passed by the US government. This article came from ebscohost so it is reliable. The article presents a discussion of the public housing authority collaborations in the U.S. under the Housing First model, adapted from a white paper from the Homelessness Task Force of the Community Revitalization and Development Committee. Topics discussed include the factors that can lead to homelessness in the U.S., the steps taken by the U.S. government to battle homelessness and the role of public housing authorities in addressing the issue of homelessness. There is also a part two to the study. Article cites reason and causes of homelessness and possible solutions to fix problem. Article was found on ebscohost so it is reliable. This is a study that indicates alcohol and drug abuse are indicators of homelessness. I can incorporate this source into my essay as an example that homelessness is a problem that should be addressed. This source was found on ebscohost so it should be reliable. A study regarding child and family homelessness. Family homelessness became a problem during the 1980s and the stud suggests the causation of family homelessness of the past is in line with family homelessness now. I can incorporate this source into my essay to further indicate the problems that homelessness links to as well to demonstrate that homelessness can happen to anyone. Source found on ebscohost. Study that indicates that children that live in foster care are more likely to become homeless at some point of their lives. Study was conducted with a sample population of foster children from Oklahoma. Can incorporate this source into my essay to further demonstrate who is likely to become homeless why it is a problem. Source found on ebscohost. An example of a “tent city” further demonstrating the magnitude of homelessness has taken. 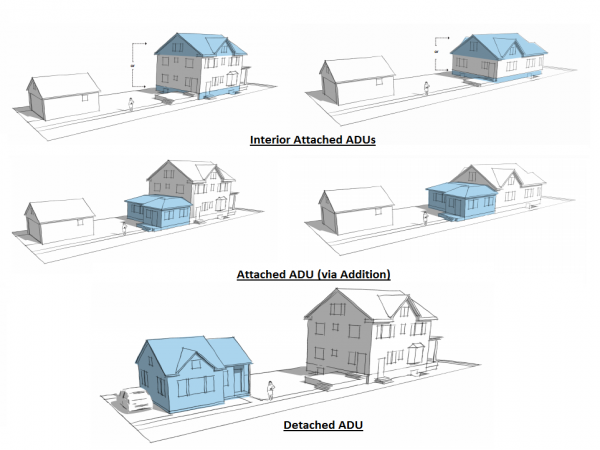 A visual diagram indicating what an accessory dwelling unit looks like.